This page provides a guide to different topics covering the science of snow crystal formation. 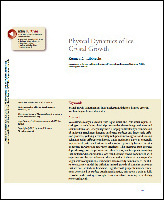 "Physical Dynamics of Ice Crystal Growth," by Kenneth G. Libbrecht, Annual Reviews of Materials Research, 2017. 47:271–95. This is a detailed review paper describing much of what is currently known about how ice crystals grow. It's a dense read, with much information relegated to the references. 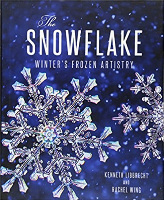 "The Snowflake: Winter's Frozen Artistry," by Kenneth Libbrecht and Rachel Wing, 2015, Voyageur Press. This is a popular-science book, describing snowflake science in a more readable format, but with much less scientific detail. Last updated 14 February 2019.